Keep your network secure by updating your cybersecurity! In a world where communication and business practices are constantly evolving through new technology, security threats are constantly evolving just as quickly. The world of IT is changing rapidly, from the advent of cloud-based network security to the increased mobility of our networking practices. Staying on top of network security in this environment can be difficult, but we’ve got 4 reasons to consider upgrading your network security to stay in touch with the changing IT landscape. Firewalls, while one security measure for your IT network, are only one piece of the puzzle. Firewalls alone are vulnerable to many sophisticated cybersecurity threats and have shortcomings of their own. For example, they only protect users on the premises. This makes remote workers and other remotely-connected users vulnerable to security breaches. There are also a number of devices that bypass firewalls entirely, and if you’re using cloud-based networking, then a firewall will be powerless to protect your cloud server. Unfortunately, there is no one product or service that can protect your network from every kind of cybersecurity threat. Your approach must be multi-faceted and constantly evolving in order to be effective. This is why outsourcing your IT needs to a managed services provider can help your business keep on top of ever-changing cybersecurity while you are able to focus on business. It is an unfortunate truth that security breaches have simply become commonplace in the world of online business. Some of these security risks pose serious threats to the integrity of a business, and these threats are constant. Upgrading your network security can help you stay ahead of these issues, even though they may seem overwhelming. When it comes to effective network security, you may wind up using tools, products, and services from a wide variety of cyber security providers. This can all seem difficult to keep track of from the business side of things, but proactive measures such as using a managed services provider can help you create the right solutions for your business and stay ahead of security threats. 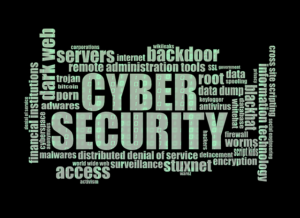 Proactivity is the name of the game in cybersecurity–since the world of business networking is changing all the time, the methods you use to secure your businesses must also be changing. This entry was posted on Friday, November 9th, 2018 at 5:02 pm. Both comments and pings are currently closed.